If you haven't read part one of our tribute, you can find the post here. Also known as the Pumpkin Orange, the Pumpkin Diamond is a beautiful 5.54 carat, cushion cut, with a Fancy Vivid Orange color grading. Despite its current breathtaking appearance, the stone was initially mined as a brownish-orange 11 carat rough in South Africa in 1997. While the mine of origin is unknown, many experts believe the stone was formed from alluvial deposits (alluvial deposits typically consist of silt, gravel, clay, sand, and other organic matter formed within rivers.) This theory is further supported by the fact that the diamond was first found and owned by a farmer. The stone was ultimately purchased by William Goldberg of the well-known William Goldberg Diamond Corporation. It was he who initiated the transformation of this unassuming rough to one of the world’s most breathtaking diamonds. Despite its beauty, the diamonds name was not always as creative it is now. Originally it was simply known as the 5.54 Vivid Orange. So How Did It Get Its Name? The stone would eventually be sold to Ronald Winston (then head of Harry Winston) for a respectable $1.3 million during Sotheby’s autumn auction. What is most notable is the date on which the diamond was purchased, October 30th, 1997 (the day before Halloween.) It is believed that the color, shape, and time of purchase all contributed to the gem being christened the Pumpkin Diamond. Since its original sale, the gem has had some very notable appearances. In 2002, it appeared on a ring worn by actress Halle Berry, as she accepted the Oscar for Best Actress. The ring was designed by Phillip Bloch and Ronald Winston himself, and featured the diamond between two beautiful white stones. A year later, in 2003, it appeared once more at the Splendor of Diamonds Exhibition held by the Smithsonian in Washington, DC. The diamond was ultimately put up for auction by Harry Winston. The name of the buyer and the price still remain unknown. Although there have been rumors that the stone was sold for a little over $3 million in March of 2005. 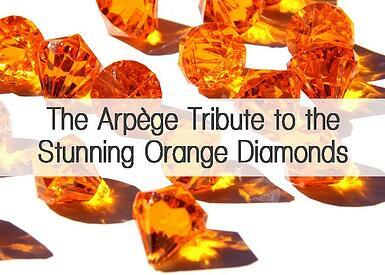 The Orange Diamond is without a doubt one of the most significant finds in fancy colored diamond history. But why? For one, it’s massive. Weighing in at 14.82 carats, this stone is more than double the size of the Pumpkin Diamond, and has officially been deemed the largest Fancy Vivid Orange stone in the world by the GIA. As we mentioned in Part 1, pure orange diamonds (with no modifiers and undertones) are extremely rare; and when they are found, their weight does not normally exceed 4 carats. 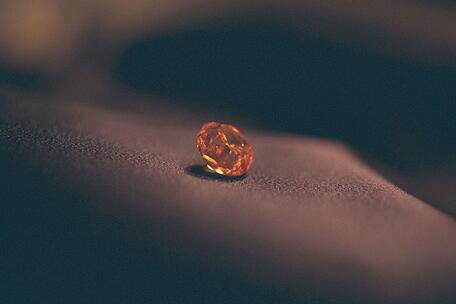 Furthermore, The Orange Diamond does not only exceed the average size, it surpasses it by almost 4x. It is therefore safe to assume that another fancy vivid orange diamond of that size and caliber may in fact not materialize anytime soon. The gem is also significant due to its typing. 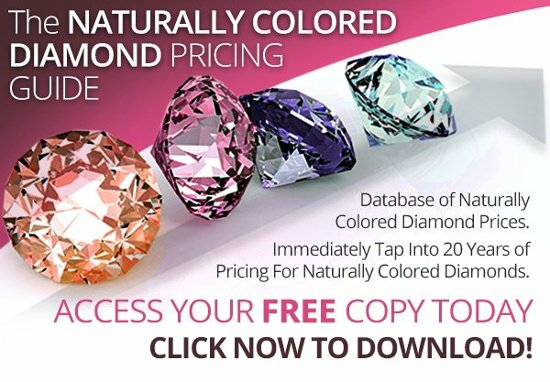 We know that most orange diamonds are Type lb, meaning the nitrogen atoms responsible for their color are located throughout the crystal lattice as single entities. In the case of the Orange Diamond, nitrogen atoms are grouped together in aggregates of 2, 3, and 4, allowing for infrared absorption as well. Stones with this characteristic are considered Type la. Despite its historic significance and breathtaking appearance, not much is known about this diamond. There is still no information regarding the mine of origin (although it is believed to have come from South Africa), the date of discovery, the rough’s initial characteristics, and the company or person responsible for transforming the stone to its present sate. Whichever the case, we are excited. We hope you enjoyed this addition to our tribute series and hopefully learned something new about these magnificent stones. If you have any questions, or any information we might have missed please don’t hesitate to share with us. Until next time, feel free to like us on Facebook and follow us on Twitter.